Crispy Edge™ is proud to offer private catering within the St. Louis area. 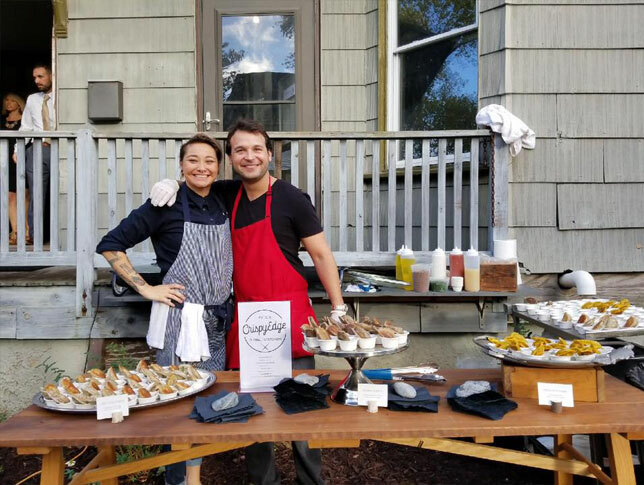 A potsticker popup is perfect for holiday parties, weddings, bar mitzvahs, birthdays and more. Let our trusted staff assist you with your party needs and deliver delicious potstickers to your guests at a location of your choice. Our St. Louis potsticker restaurant can also host your next private event. You can rent part of the restaurant for the private dining of fourteen guests, or rent the entire restaurant for up to fifty-five guests. We offer a specialty coffee and beer program to fit your needs, guest wifi, and a sound system. The sleek modern design of our restaurant with subtle lighting sets the mood for any event. Intimate packages begin at $700 plus gratuity and tax, and includes food and limited beverage service. 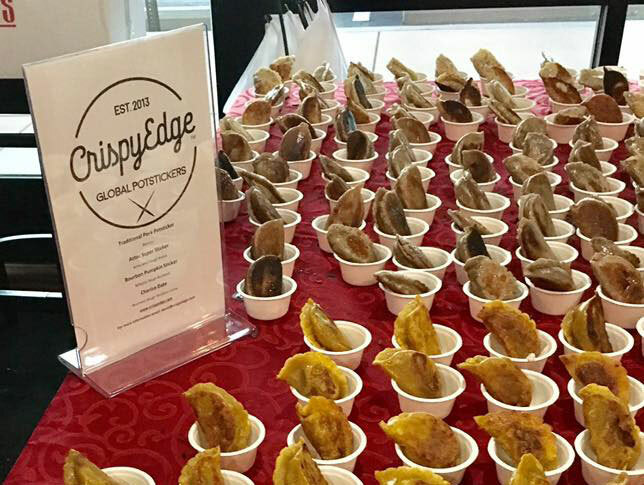 Please reach out to catering@crispyedge.com for more information. Thank you so much for hosting our Young Professionals Cocktail and Crispy Edge last Friday. It’s such a cool space and those pot stickers are delicious!